...U.S. Air Force's Space Based Infrared System's (SBIRS) third highly elliptical orbit (HEO-3) payload. Lockheed Martin (NYSE:LMT) is the SBIRS prime contractor, Northrop Grumman is the payload integrator. 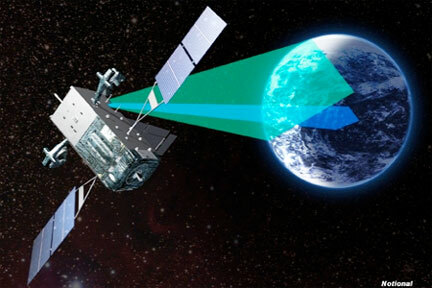 Featuring a mix of geosynchronous (GEO) satellites, hosted payloads in highly elliptical earth (HEO) orbit, and associated ground hardware and software, the SBIRS program delivers improved missile warning capabilities for the nation while simultaneously providing significant contributions to the military's missile defense, technical intelligence and battlespace awareness mission areas. Two HEO payloads and the first geosynchronous (GEO-1) satellite have already been launched. During payload integration, the Northrop Grumman-led team verified the initial electrical functionality after conducting mechanical integration of the payload, harness checks, bond joint checks, command confirmation and primary/secondary power checks. Once the integration checks were completed, the initial ambient function test provided functional baseline performance and readiness to enter the next phases of testing, electromagnetic interference (EMI) and thermal vacuum characterization testing. Following the characterization test, the HEO-3 payload will enter its prototype qualification acceptance testing for a scheduled delivery in 2013. The SBIRS team is led by the Infrared Space Systems Directorate at the U.S. Air Force Space and Missile Systems Center, Los Angeles Air Force Base. Lockheed Martin Space Systems Company, Sunnyvale, California, is the SBIRS prime contractor, with Northrop Grumman Electronic Systems, Azusa, California, the payload integrator. Air Force Space Command operates the SBIRS system.